When it comes to sewing I'm one that prefers to upcycle something rather than start from scratch. It's a sustainable approach to fashion which I value. That's what I love about elbow patches. 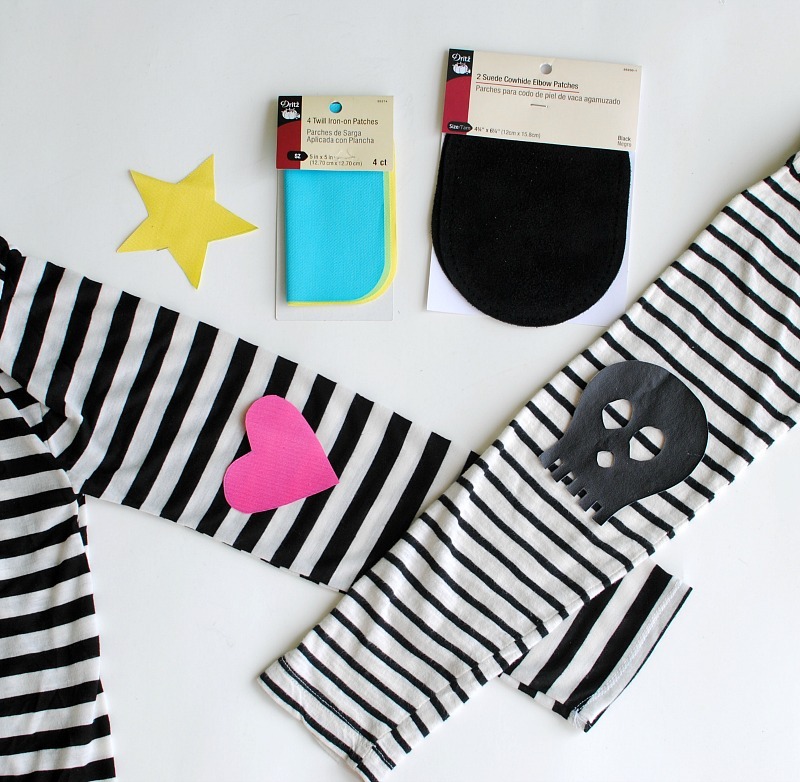 Add these for an instant update to an otherwise simple or outdated garment. 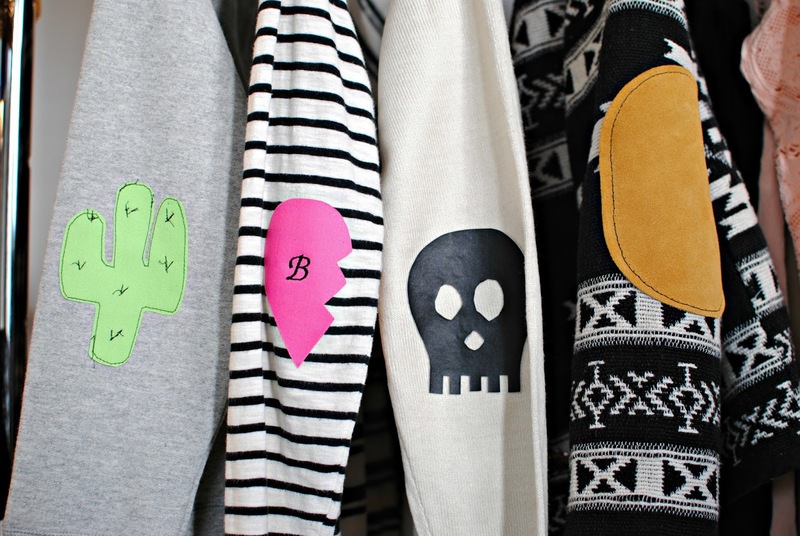 Dritz has many different types from suede to twill iron-on patches. Create different designs for a festive theme or go the more practical route with a rustic suede. Either way, it's the perfect DIY project for everyone including the kids. My son made a pikachu and lizard patch! 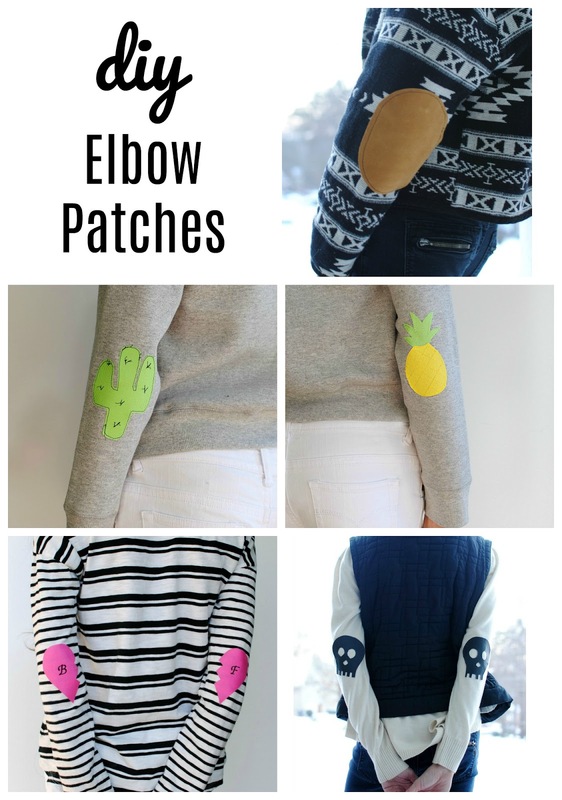 Get the details on how to make your own DIY elbow patches below. 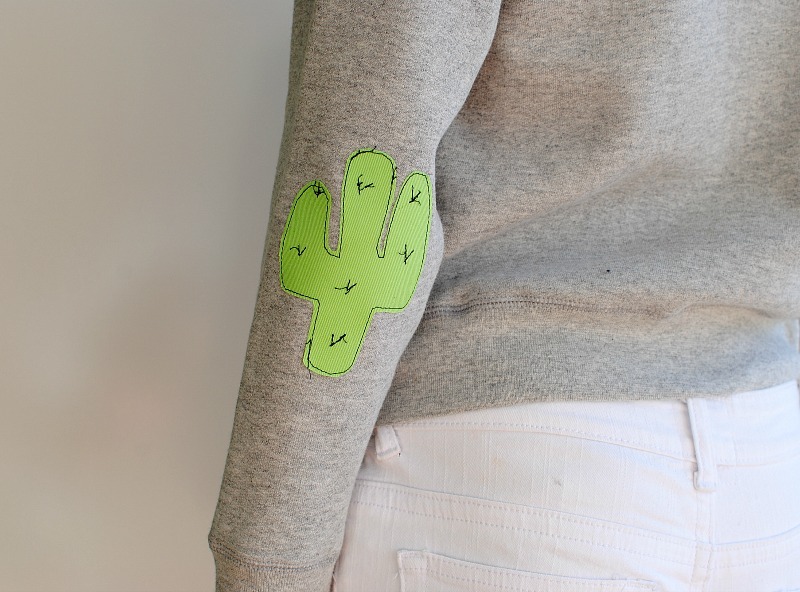 The Cactus Patch: Using the twill iron-on patches, cut out interesting shapes and designs. So many options here, try basic templates like stars and hearts, or go for something more edgy like skulls. Optional: Top stitch the patch prior to ironing to add more detailing. Print or draw out a template making sure it's the proper size for an elbow patch. 3" x 3"
Use the heat erase marking pens (I LOVE THESE) to trace the template onto the right side of the twill patch. Cut out the design and edge stitch around the shape. I also added free motion v shapes for the prickles. 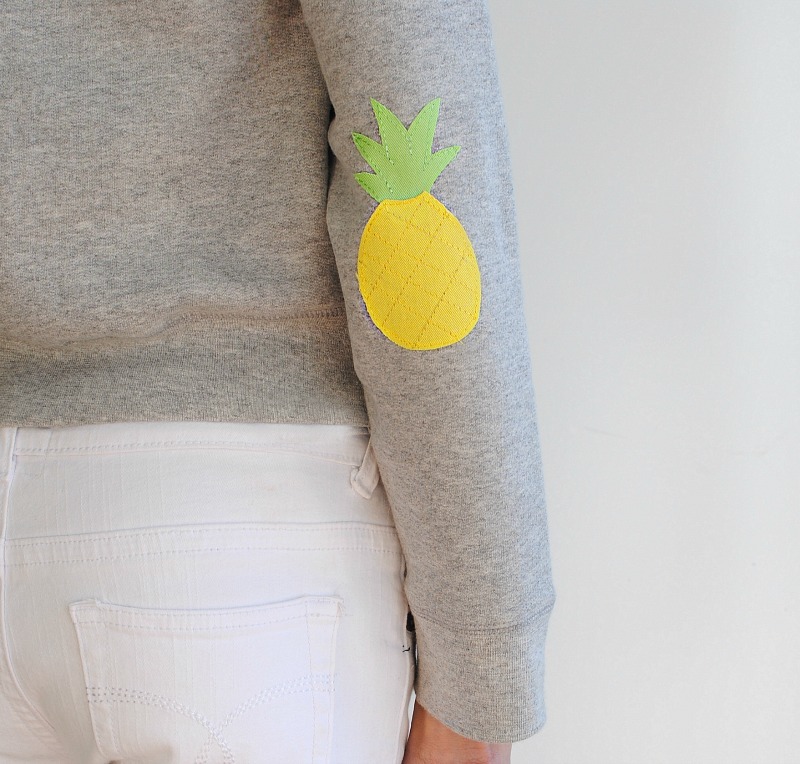 Try on the sweatshirt and mark where your elbow hits with the heat pen. It's best to do this step with the garment on so you get the correct location of the elbow. Place the patch in the center of the mark right side up. Use a press cloth to iron the patch into place. Make sure to go over the outside edges as well to secure the patch. 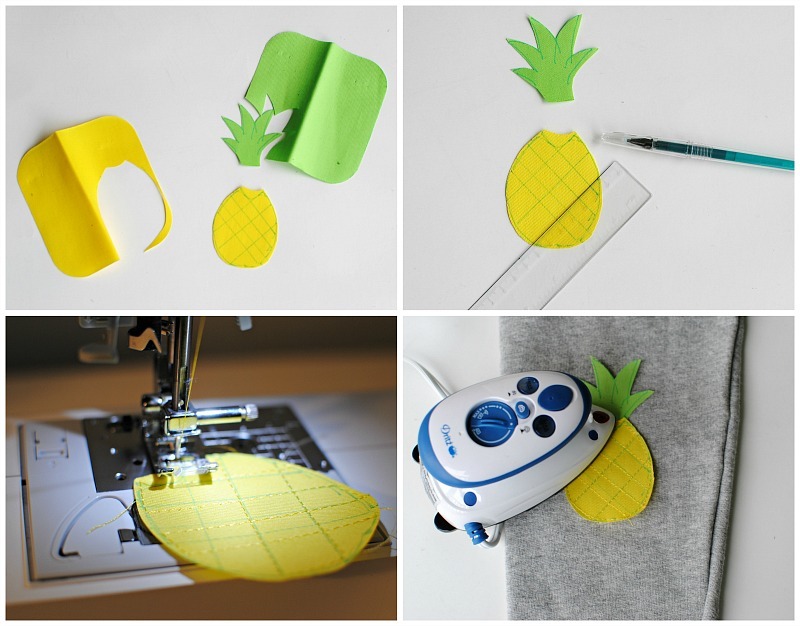 Similar to the above but instead cut out templates and combine the twill patches to create different color combos like this pineapple patch. We even did an emoji and pikachu one with the kids. Print or draw out a template. Use the heat erase marking pens to trace the design onto the right side of the patch. Use a ruler and heat erase pen to create lines on the pineapple. Trace the lines with your sewing machine. I also stitched around the edges. Try the sweatshirt on and mark where your elbow hits. Place the pieces how you want them to lay. Use a press cloth to iron the patch into place. The markings from the heat erase pens will disappear from the iron. The Suede Elbow Patch: Using the Suede Elbow Patches. A practical yet trendy look. I love this for quality garments like this Patagonia jacket I got thrifting. Try the jacket on and mark where your elbow hits. Place the center of the suede elbow patch over this marking. Secure with tape or pin through the holes (tape was easier as the suede is thick). Secure into place by backstitching with a needle and heavy duty thread. In my opinion, https://pro-academic-writers.com/blog/expository-essay will be useful to read for you in any case. Especially if you are student and you need to write your first expository essay. 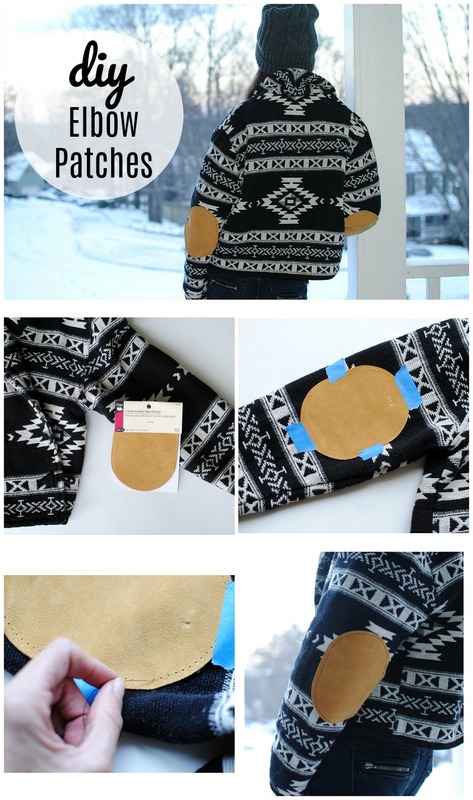 Awesome DIY elbow patches. Looks so cool and cute. Gotta try it. Nice Post. Keep It up. Students can now make their life easy and hassle-free by opting all Assignment writing services of australiaassignmenthelp.com portal. It is a one-stop entrance for success in the academic field. We will make it for you at an affordable price.